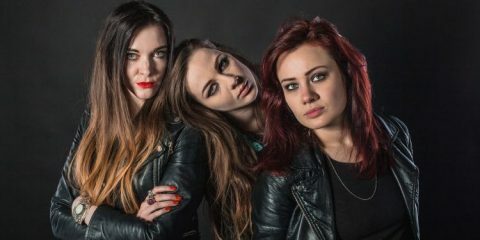 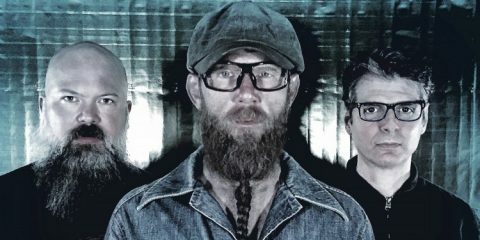 Has it been 25 years since the release of Passion and Warfare? 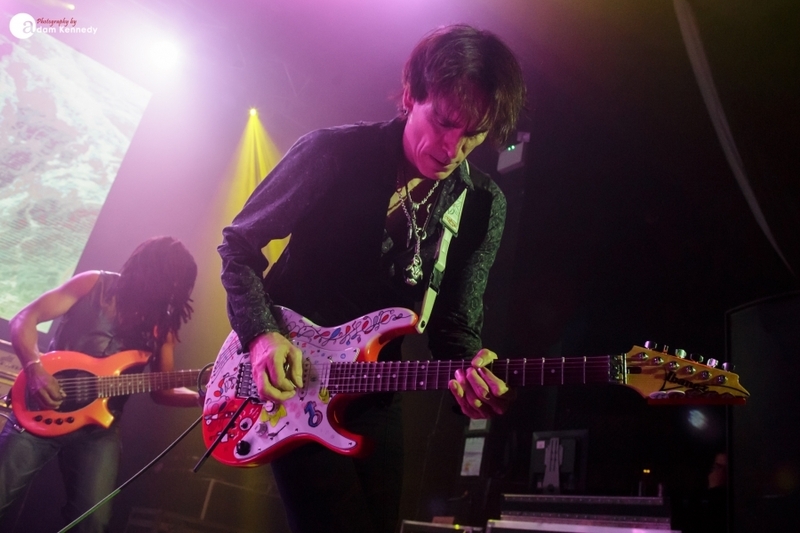 Back in 1990, Steve Vai released arguably one of the greatest instrumental guitar albums of all time. 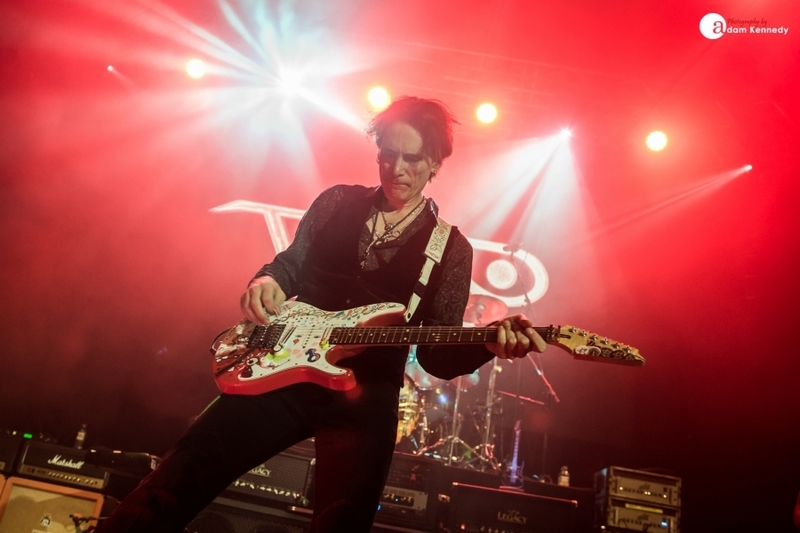 03-Jun-2016: The Passion album was seen as Vai’s magnum opus, and until this day by his own admittance he has been “scared shitless of performing it live,” he declares to the audience at the O2 Academy Newcastle. 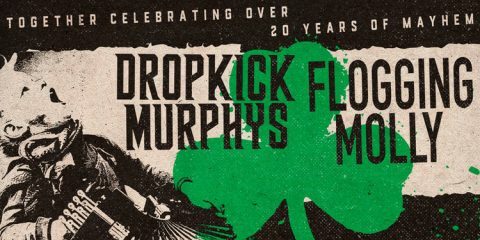 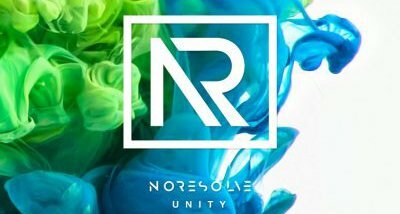 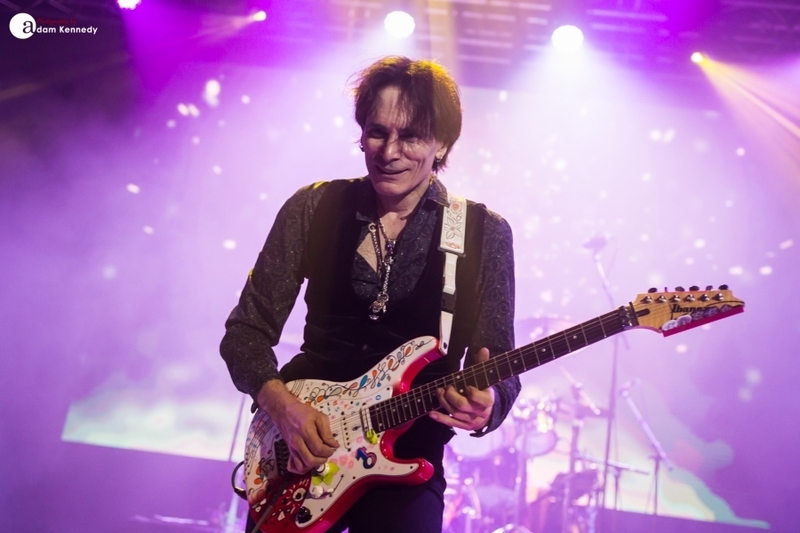 However, to celebrate the 25th Anniversary of the album’s release, tonight Steve Vai is performing the album in full and for the first time. 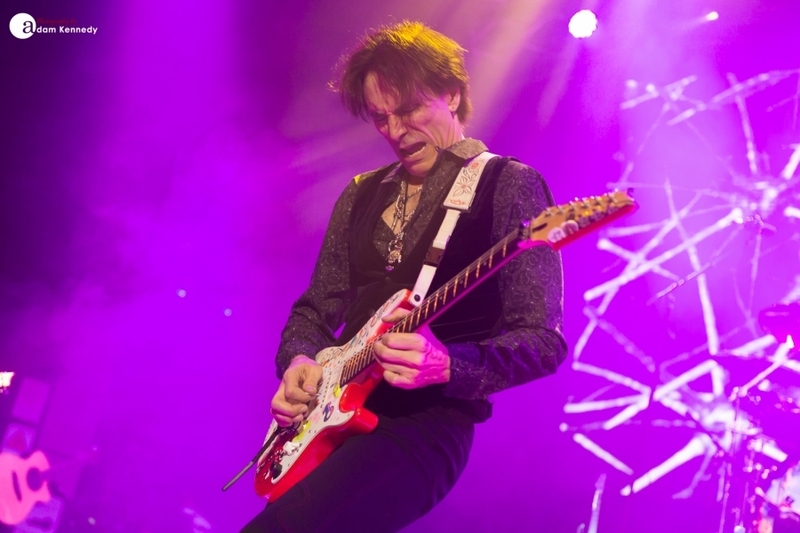 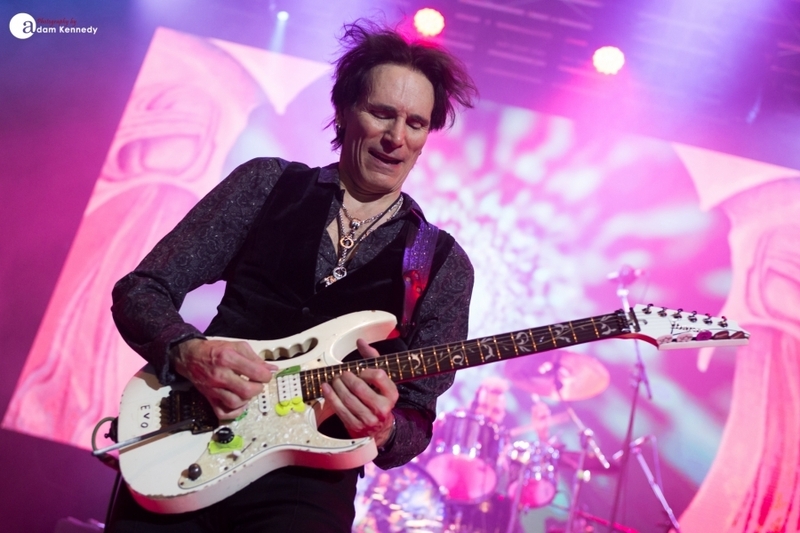 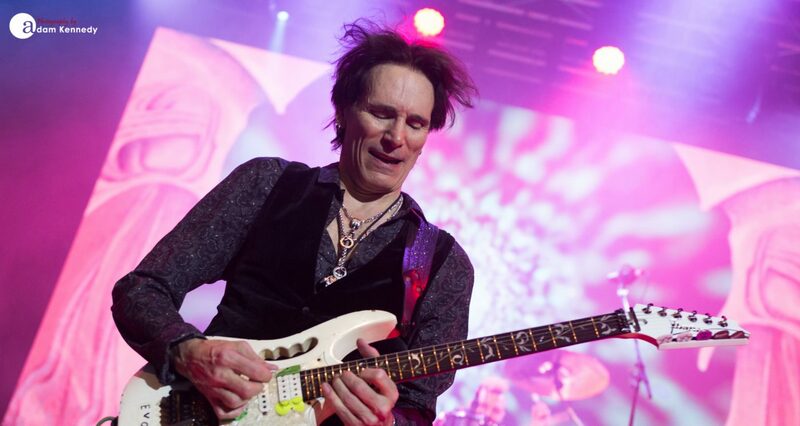 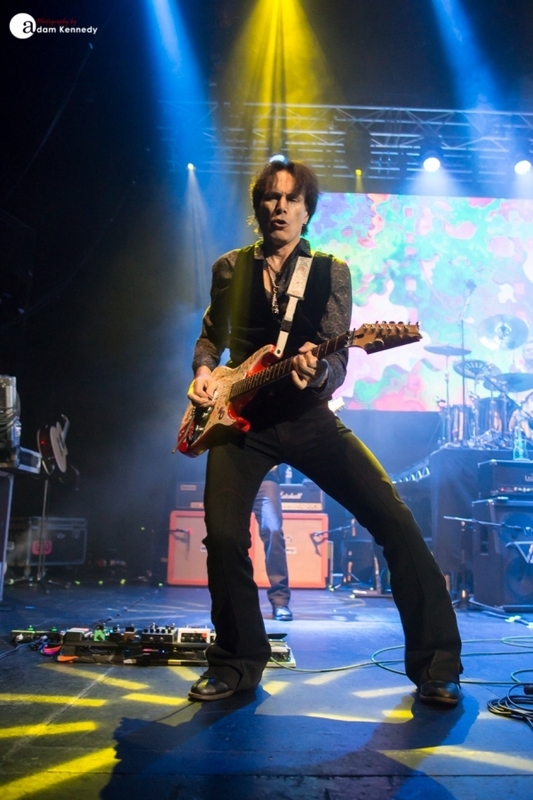 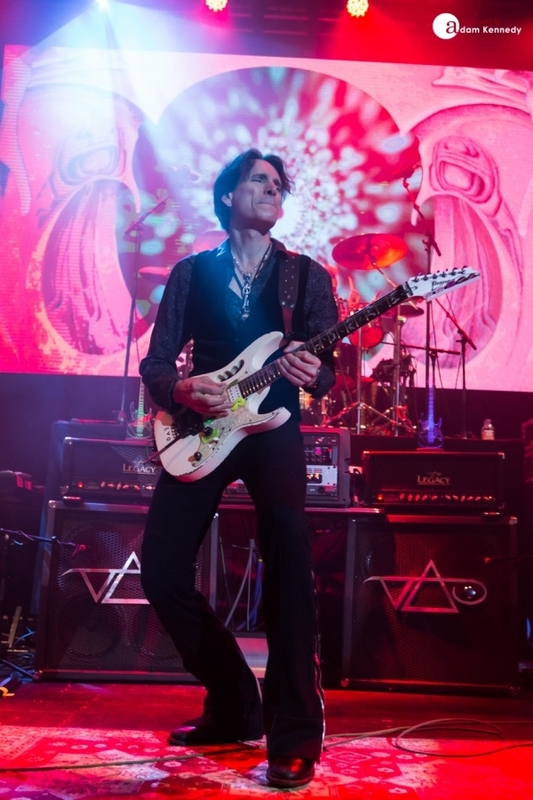 Steve Vai is not only in a league of his own as a guitarist, but he is a showman too. 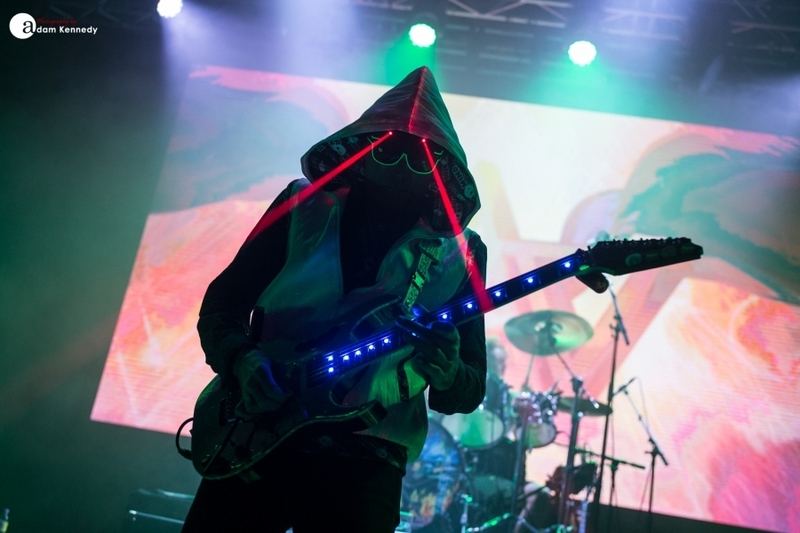 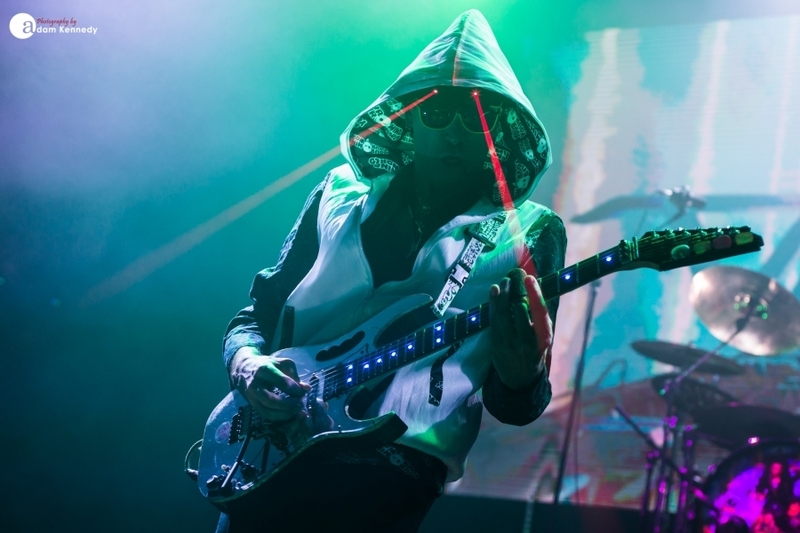 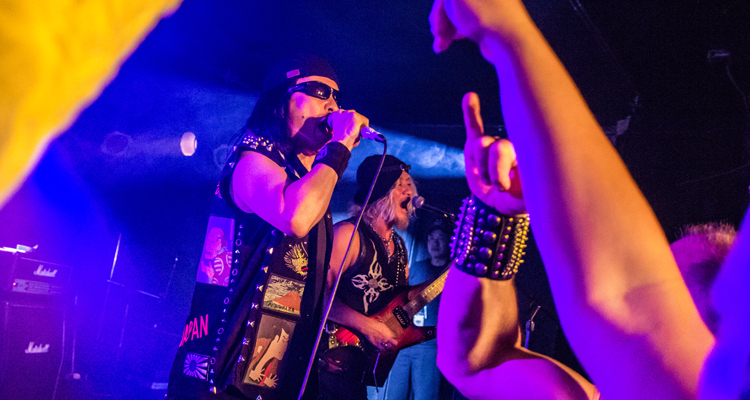 He takes to the smoke-filled stage shrouded in mystery, cloaked by a hoodie, and wearing laser pointing glasses, his fret board illuminated with blue lights as he launches into the hard rocking “Bad Horsie”. 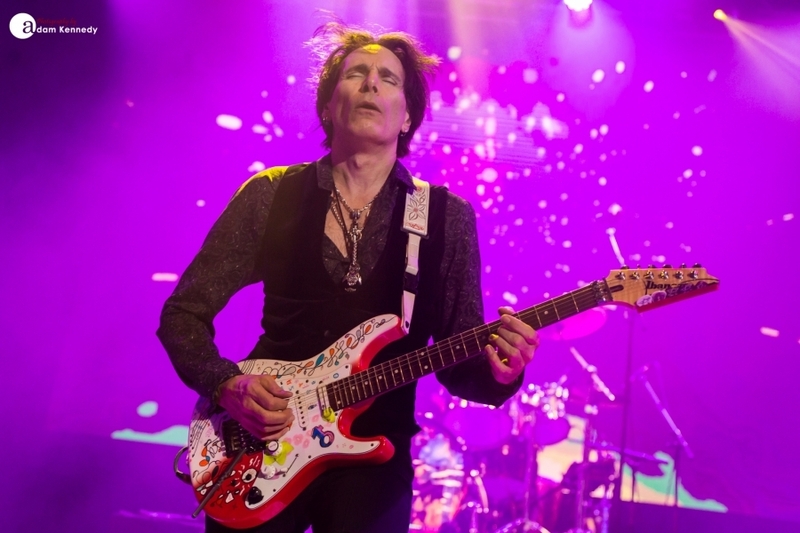 He takes us back to start of his career with “The Attitude Song” from his 1984 album Flexable, which was the precursor to Passion and Warfare. 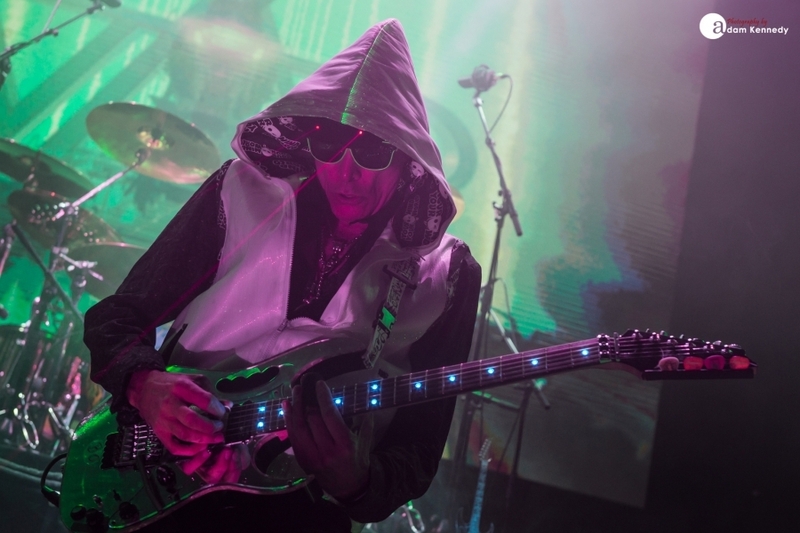 Later this month, Vai will release previously unheard material in the shape of Modern Primitive, which is effectively the missing link between the two and aims to shed some light on the transition of his sound. 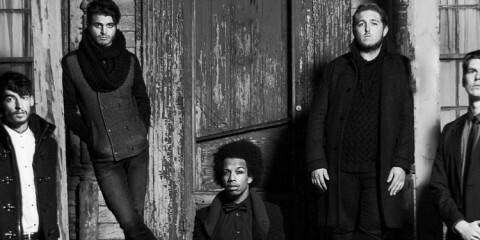 The show opening is, of course, the aperitif to the main course of Passion and Warfare. 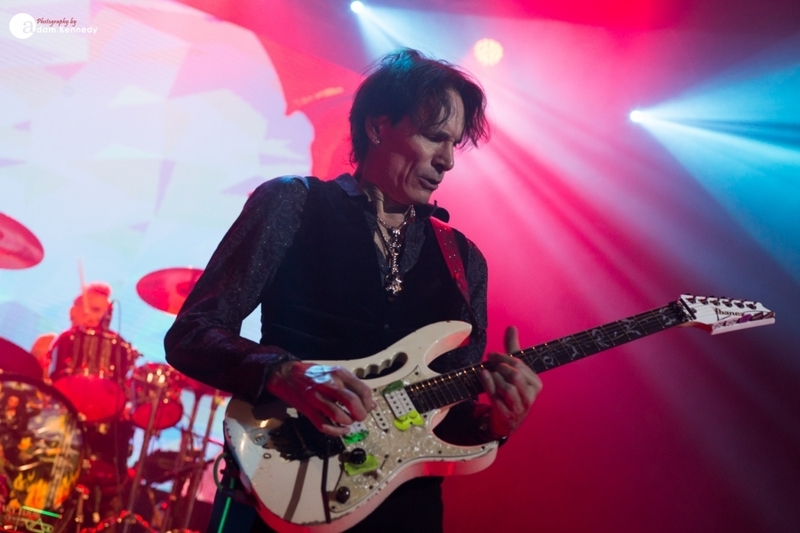 Steve Vai quips how humbled he is by what that record did for him. 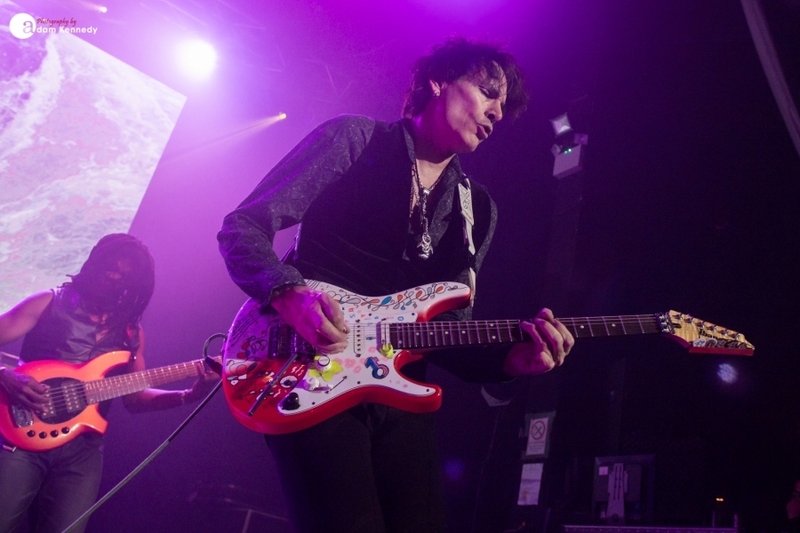 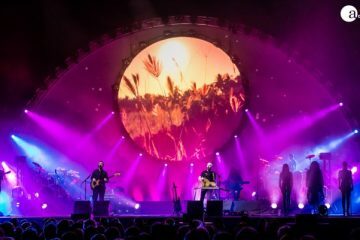 Visuals projected onto a video screen at the back of the stage accompany the piece, with footage of Brian May, Vai and Joe Satriani from the Sevilla Expo in ’91 setting the context for the performance. 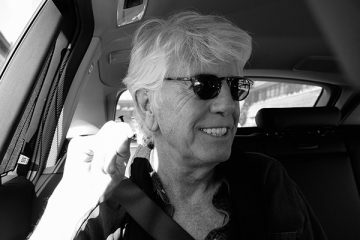 Immediately from the off the opening bars of “Liberty” are enough to make the hairs on the back of your neck stand up. 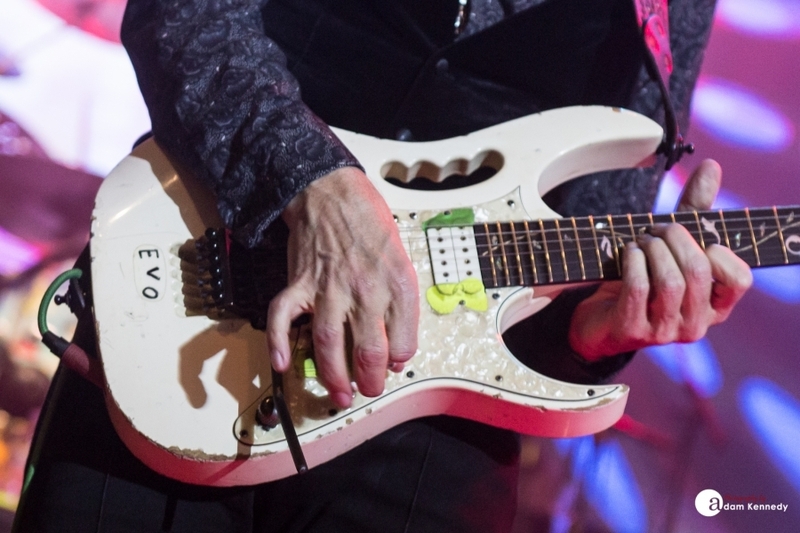 Grasping his fabled Ibanez Jem “Evo,” Vai leads us into a video guitar battle as he grapples with his dear friend and once guitar teacher, Joe Satriani. 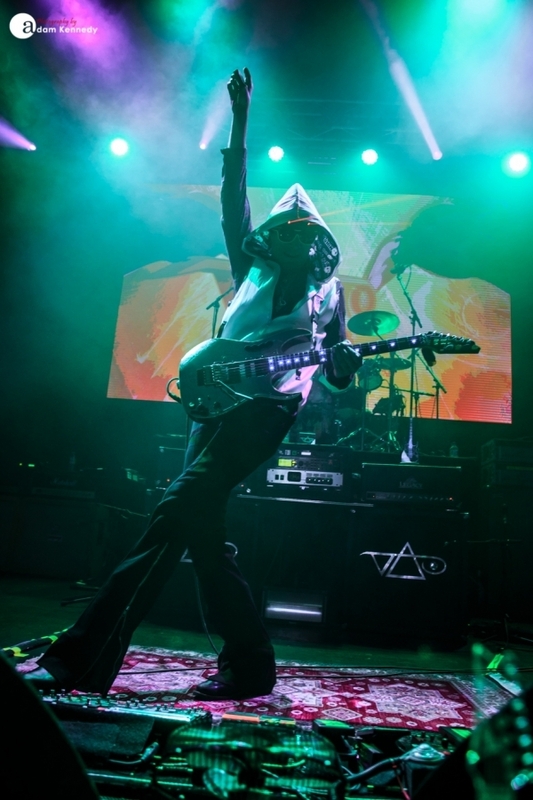 During “The Animal,” Satch shows off his more extroverted Shockwave Supernova playful side donning a whole host wigs and props in the process. 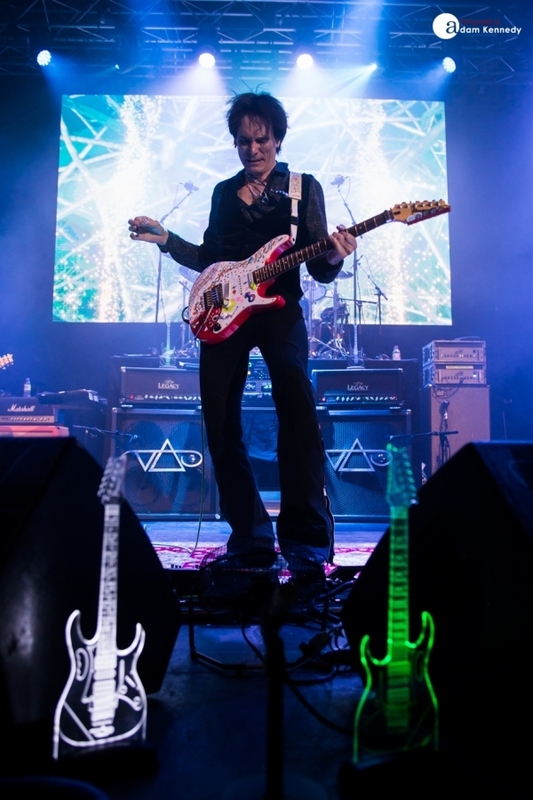 Tonight Steve Vai delivered a two and a quarter hour tour de force of musicianship which allowed his fans the opportunity to hear his timeless masterpiece as it was originally intended and conceived and it did not disappoint.